I must admit that I have a total and utter obsession with rocky road. Think of any rocky road combination in the world and there’s a fair chance I’ve made it. I’ve used Clinkers, mint patties, smarties, jaffas…. the list could go on and on. But this Thermomix Turkish Delight Rocky Road is up there as one of my favourite rocky road recipes. Ever. I suppose that shouldn’t really be a big surprise. 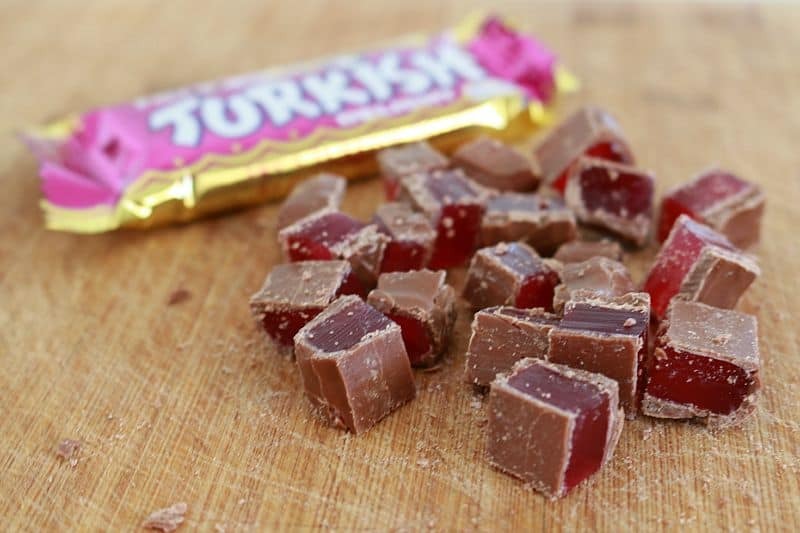 I mean – I absolutely love Turkish Delight… and chocolate… and marshmallows!! So when you put them all together, the result is pure deliciousness. 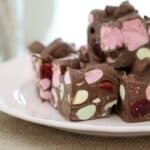 I love making rocky road in the Thermomix because it’s so easy to melt your chocolate and then mix in your goodies. 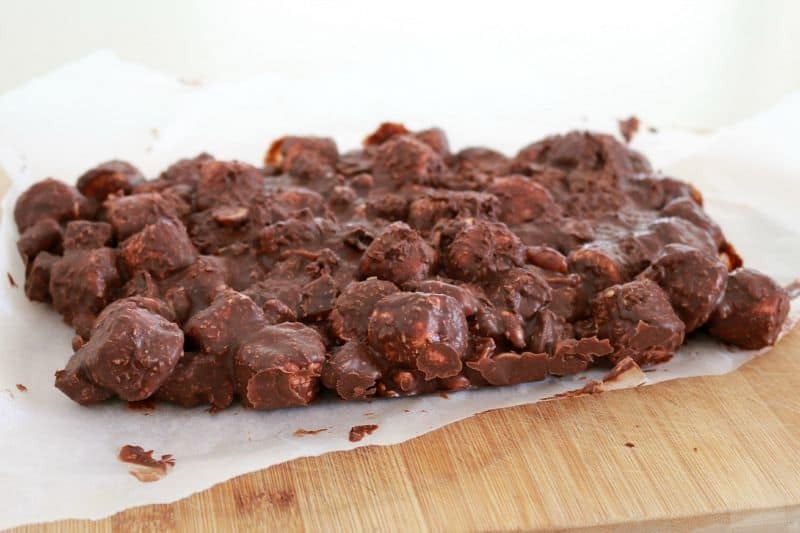 You can always use the Thermomix to chop your add-ins at the very start, but I prefer my rocky road to be nice and chunky, so I leave them whole or just chop them into large chunks with a knife. 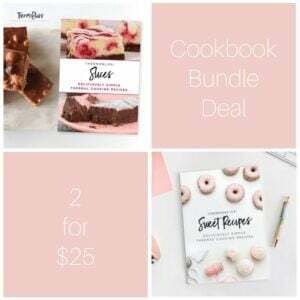 This makes a great treat for yourself or the perfect gift for a friend. 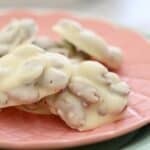 I love to make a few big batches of rocky road before Christmas and give them away in little bags as gifts. Too cute… and yummy!! 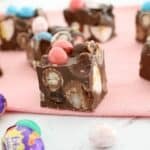 The yummiest Thermomix Turkish Delight Rocky Road you'll ever make! Ooh yum, i just love making Rocky Road in my thermomix! 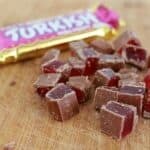 I love Turkish Delight and Rocky Road so this is the treat dreams are made of! YUM! 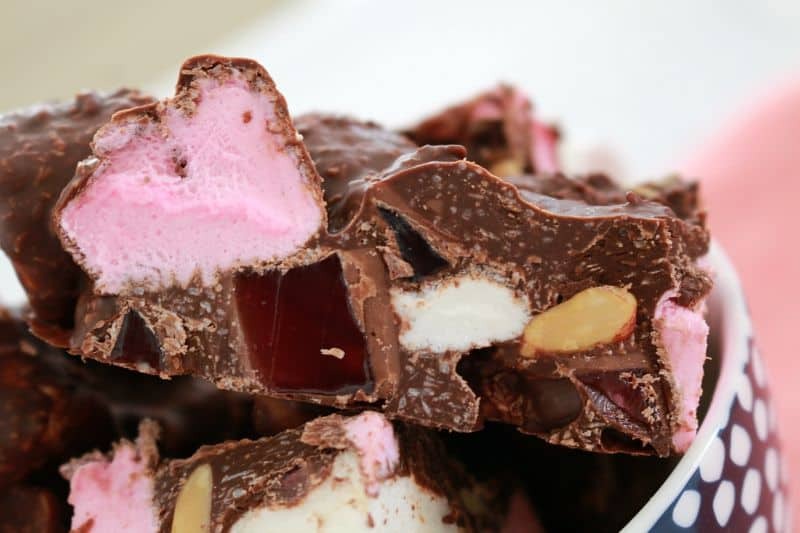 I have always wanted to give making rocky road a go and I reckon that with a little turkish delight would be amazing! Yum!! 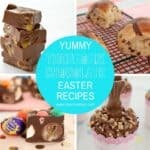 Have tried a few rocky road recipes and they all had the wrong ratios, either not enough chocolate to cover everything or just not rocky enough. 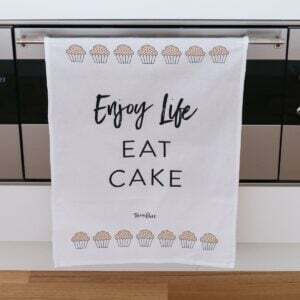 So so glad to have found this recipe – it is perfect!! Love love love it!!! This looks so yummy! 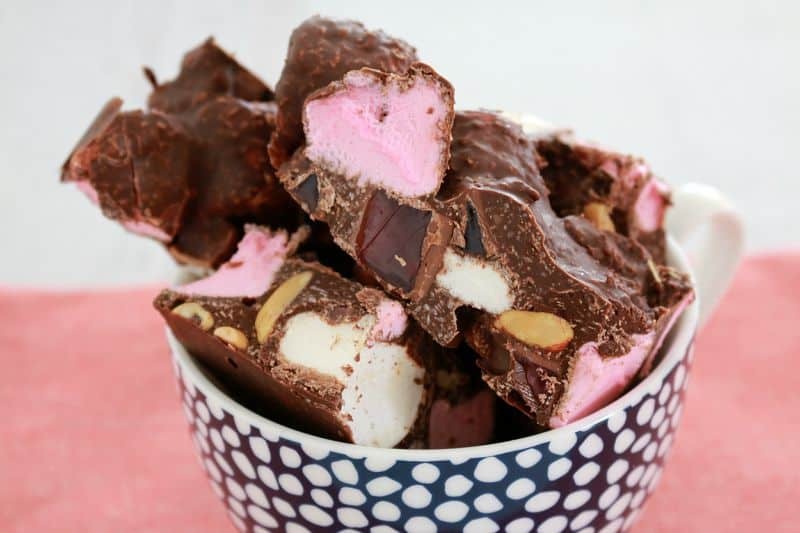 I made your clinker rocky road for Christmas hampers and it was a huge hit! Thank you!!! Do you think this would be fine/just as yummy made with milk chocolate rather than dark? A winner for Christmas treats.